One of the largest projects in our history, the Nutrien Western Event Centre is the heart and home of year-round western events and agricultural education on Stampede Park. This state-of-the-art facility was designed for national and international western competitions, rodeos, agricultural exhibitions and trade shows, as well as to be a centre for agriculture and industry education. 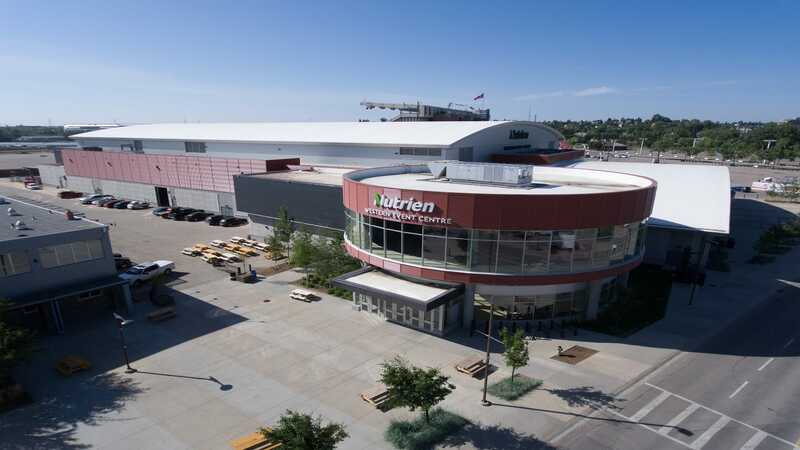 Officially opening in June of 2014, the Nutrien Centre is an important milestone in the Calgary Stampede’s vision of becoming a world-class, year-round gathering place. Custom-designed for connecting urban and rural audiences, the building features back-of-house and staging areas tailored to the needs and safety of animals, VIP Suites, and an adjacent exhibition hall that operates as a trade show floor or a warm up / show ring.